They have all been added as Crymore’s new banner. Please enjoy. Edit: Uhh, I did want this stuff to rotate, but I kinda fucked the code up while trying to do that, so I’ll ask one of the secret admins to help out later today. Until then, just stare at the banner up top and pretend it changes everytime you refresh the page. That second one is just so clever. >> Banner to be accepted: One. My Rena bannner made it. Please include this (and any other funny ones) as rare banners that only pop up now and then (like 0.1% of the time). That would make my day. Do you still want the banners to rotate? If so, I might be able to help you out. I have an old php script lying around, which works quite well as an image rotator. All you have to do for it to work, is to save the script as “index.php”, put it in the same directory as the banner images, and set the banner’s image source url to the directory path. Remove the “index.php” part of the url. Site is, currently, how it looks with that url. Hmm… I’m just getting a 404 error when I hit up your url, which means that the folder either doesn’t exist, or the permissions aren’t set up correctly. 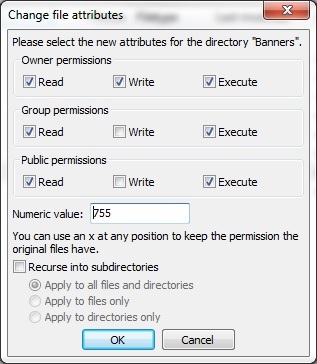 Try changing the directory permissions to 755 (meaning owners can read, write, and execute, while group members and the public can read and execute). Wanna hash this out on IRC or something? I just noticed that my browser kept caching the banner, which meant that it would only actually rotate, when I did a hard refresh of the page (navigating to new articles, reviews, etc. would not change the banner). I’ve modified the script a little, so this is no longer an issue as long as you’re using my server as your banner host, but once you get it to work locally, be sure to add the line “header(“Cache-Control: no-cache, must-revalidate, no-store”);” right before “header(‘Location: ‘.$folder.$files[$rand]);”. I’ve update the pastebin, so alternatively, you could just copy that again. Oh cool, someone used my banner as a base. Apparently it’s just the Monokuma banner with 12px more in height. On a second side note, whenever I see this banner (http://www.crymore.net/wp-content/uploads/2013/07/Crymore-Banner-02.png) it’s smaller in width than the others – the same way it appears in this blogpost, although its size is no different from the others (well, except the Monokuma banner). Oh wow, that banner is so good, it’s actually good… wait… never mind. Well, this change is temporary and basically my way of saying I’m gonna start posting again. I’ll switch back to your banner switching-ma-jig in a day or two, but I don’t feel cool about stealing your bandwidth regardless of whether or not you’re fine with it, so that will likely only last till the end of the month. I wonder what the people who come here for the first time think of this…uh…blog. Hopefully, your secret admins will find a way around the permissions issue in the course of this month, then. I actually have a slightly weird idea on that, and while I have no particular reason to think that it’ll work, it might. 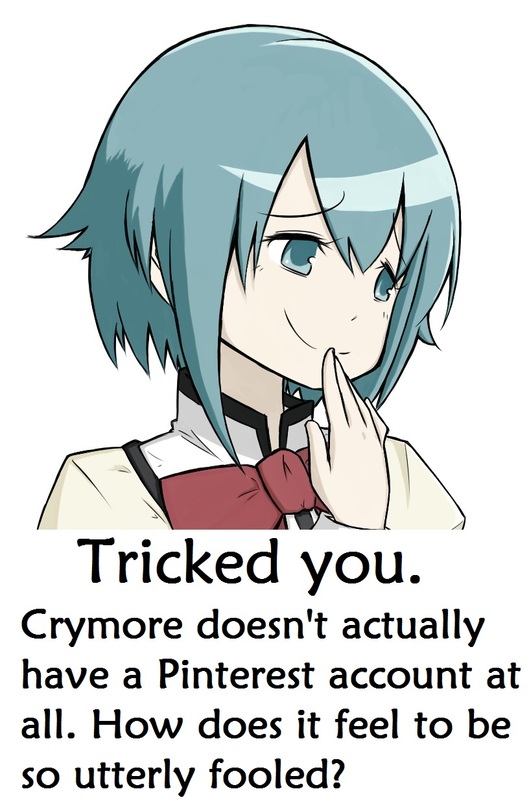 Seeing as how users can access individual images (such as http://www.crymore.net/wp-content/uploads/2013/07/Crymore-Banner-08.png), but not the parent folders, you could try adding an image extension to the folder name, making it something like “Banner.png”. This might trick your system into thinking that the folder is, in fact, an image and allow users to access it as such. As already indicated, I have no real reason to think that this will work, but it might be worth a shot. I wouldn’t hold my breath for the admins to do something proactive. I’ll try the banner thing tomorrow. I see you’ve found a way. Firebird did. I take back what I said about proactivity. Dude did me right. Thanks for filling in with the banner switching from before. I really appreciate it.